The Hollywood rumour mill is always cranking and the newest rumour to spit out of the mill is that Joss Whedon will not be directing Avengers 3. 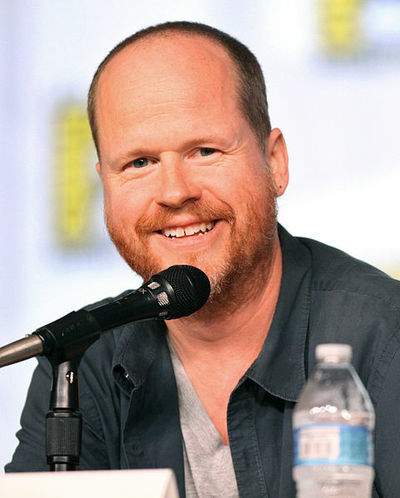 Joss had a massive massive hit with the first Avengers and is currently super busy on Avengers: Age of Ultron. The second Avengers is set to be as big a hit as the first movie, if not bigger. So what do you think, does the series stand on its own or does it need Joss? Whedon also penned the script for the first two films, if he doesn’t direct, do you think he’ll still write? What director would you love to see take over for Whedon if he were to leave? I don't generally base my thoughts about a film based on the director; however, when it comes to a series of films, I think it is usually beneficial to keep to same director so it retains the same style and vision. Ten again, look at all the different directors that Harry Potter had, and how well they fitted together. I agree with you in terms of directing a film, but admittedly I worry about the writing. Since Whedon wrote the scripts for first Avengers movie which was a pretty good movie, and the second which looks like it will also be good, I worry that Marvel will not have him write the third if he's no longer directing. Yes, that could be an issue. Joss Whedon has done an awesome job with the Avengers franchise. He knows the canon material, he's proven he can do the job, and he's got the geek cred to pull in audiences all on his own. I think having anyone else replace him on this series would be foolish. Marvel has found a writer/director that works and a cast that works, now all they need to do is continue to work it. I really enjoy some of Joss Whedon's work but was not a fan of The Avengers movie. I found it really tedious, so am not fussed either way! Can Will Smith, Margot Robbie, Jared Leto, Tom Hardy, Cara Delevingne, and Jai Courtney pull off a decent Suicide Squad? Who is your favourite musician turned movie actor? Which classic movie monster do you love seeing reimagined on the big screen? Super Ultra Dead Rising 3’ Arcade Remix Hyper Edition EX Alpha…Seriously?? Awesome!